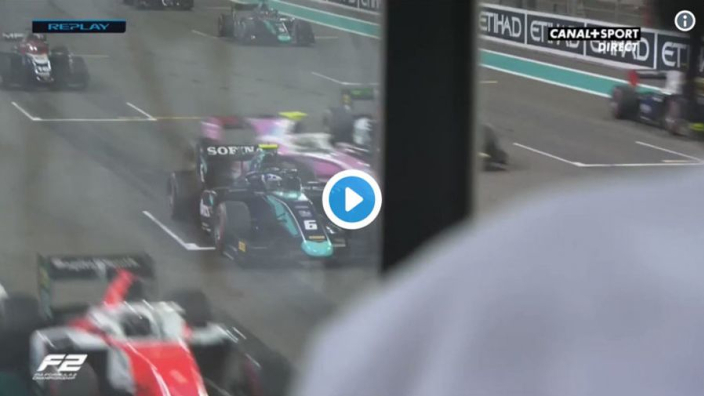 VIDEO: F2 race starts with TERRIFYING crash! The Formula 2 Abu Dhabi feature race began with a terrifying crash as DAMS' Nicholas Latifi stalled on the line and was run into by the Trident of Arjun Maini. FIA race director Charlie Whiting had to duck in the observation tower above the pit straight as debris flew. Luckily everyone involved escaped unharmed.